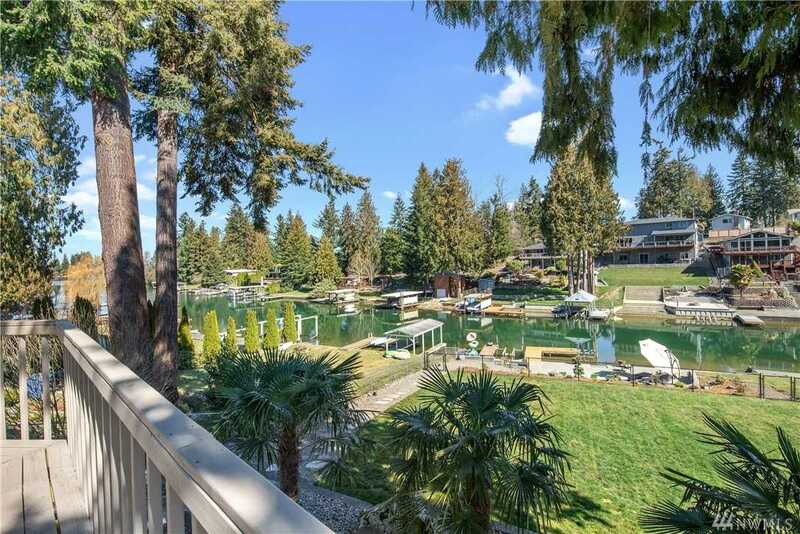 Imagine entertaining friends on your private 72 feet of lake frontage with walk-in beach & huge bulkhead entertaining area. Large dock will accommodate many watersport toys. Inside the home was updated with modern touches throughout, natural light from the huge windows & vaulted ceilings, TWO full kitchens. Guest bedroom or home office above the garage with separate entrance. Downstairs could be an ADU or MIL. Bonus, fully fenced yard & 3 private parks with boat launch & tennis courts. Directions: 167th , 8th St E exit, stay to right after Lakeland hills area to go onto Sumner Tapps Hwy, turn left at West Lake Tapps Dr E (2nd light) home is 1.5 miles on left.